Ask someone to name a beach in Hawaii and chances are Waikiki will be among the most common responses. Situated in the southeast corner of the island of Oahu and sandwiched between downtown Honolulu and Diamond Head State Monument, it’s among the most photographed beaches in the state. Featuring such landmarks as the Duke Kahanamoku statue, the Moana Surfrider and the Royal Hawaiian, it’s also home to a few beach bars who have managed to squeeze out some space among the towering resorts. Among the beach bar style watering holes are the Mai Tai Bar at the Royal Hawaiian, Duke’s Barefoot Bar at the Outrigger and the Beach Bar at the Moana Surfrider. 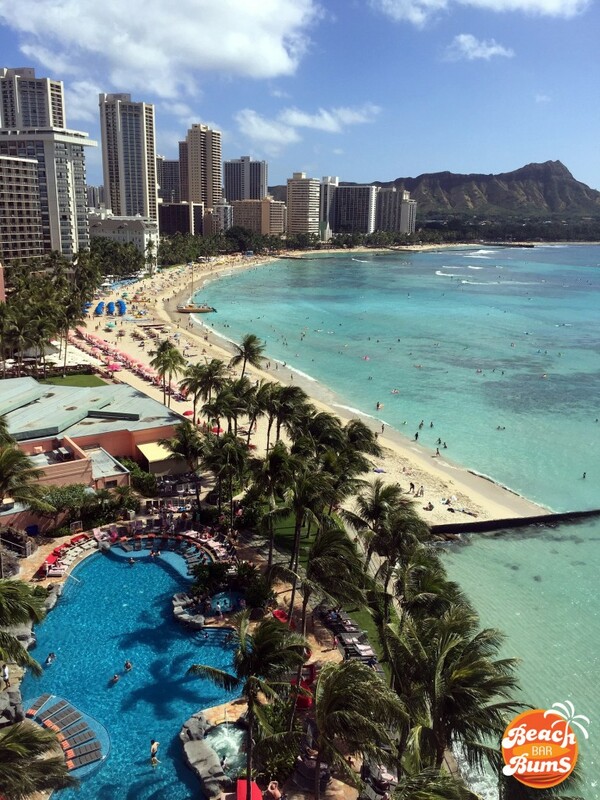 It’s no surprise, then, that this image of Waikiki Beach was the most liked photo from the past week in our “Beach pic of the day” posts on our Facebook page. It can’t be used as a wallpaper on your desktop/laptop computer but I’ll bet your tablet or phone would be a nice spot to display it.